The Charcoal Challenge- Hot Dogs in the Wild Woods! 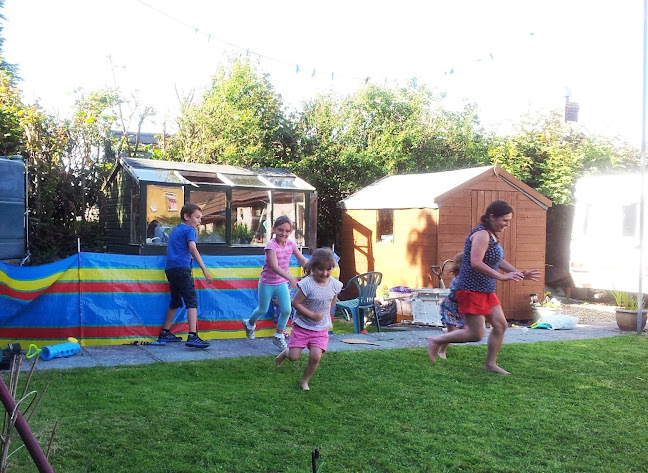 We’re loving the weather this Summer and have been lucky enough to fit in lots of family barbecues. When MoneySupermarket.com asked me to take part in The Charcoal Challenge I knew I had to take part. During our home family bargains we’re pretty sorted, we usually have burgers, sausages, meat, kebabs, veggy burgers, veggy sausages and veggy kebabs. We also enjoy savoury rice, jacket potatoes, mushrooms and melted halloumi (I love these! ), potato salad, coleslaw and summer salads. But I haven’t had many barbecues with just me, friends and the kids when out and about, so I thought I’d give that a go! We love to cook over a fire on the beach, but Dave is always with us when we do that so it was our first time with out him. We decided to go back into Castle Pill Woods as we knew that would be perfect for a barbecue. I decided to keep it REALLY simple. As we would have to carry everything for the walk into the woods I didn’t want to be bringing too many different types of food. Therefore I decided we would only serve: Hot Dogs! 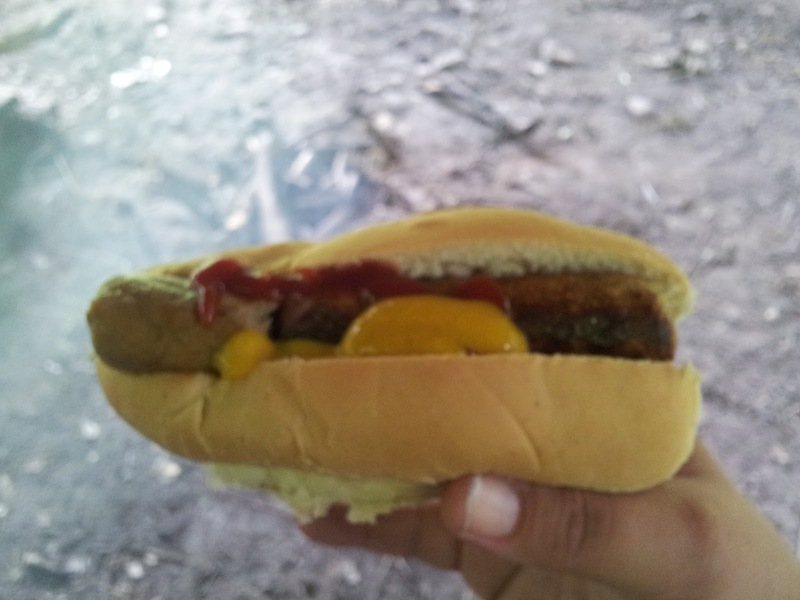 I had planned to BBQ meat sausages and veggy sausages. The kids said that they much prefer Tinned Hot Dog sausages, so I bought them instead, along with a pan to heat them up. I carried my big camping rucksack on my back full of most of the food, but as we also had lots of drinks we still had other bags to carry. The woods are so beautiful and such fun for the kids to play in. We don’t need to bring anything to amuse them, it is all there for them. Are they birdwatching or in the gallows, do you think? We unpacked the bags and started to set everything up. With my money, I bought two disposable barbecues. They are a good price at £2 each, but obviously in the long run it is cheaper to buy a reusable one, so with the money left over I am going to buy a bucket barbecue to take with us next time, now I know how easy and fun it is. I’m sure we will get lots of use out of it on the beach, in the woods and next to ruins. It can be extra cooking space for home BBQs too! The kids were really good while we set up and lit the BBQ. Izzy sat on the bench the whole time which made it easier for me. We bought lots of soft drinks with us. I bought far too many hot dog rolls- I didn’t want any kids going hungry! I took four bags home with me. We bought veggy Quorn Sausages, tins of hot dogs, ketchup and mustard. I bought too many tins of hot dogs too, but we only opened what we needed so again, I just took the spare home to use again. I packed a tin opener and a knife to cut the rolls. Rolls could be cut at home first if you prefer. Kitchen roll came in handy too- there was no need for plates. The boys were off playing in their den and in the stream while the women kept camp. I think you can tell who were the bosses in this picture. The kids were all really good by the BBQ, I didn’t know how Izzy would be. It will be nice to come down one evening and light the fire and sit around it together. We watched the spooky shapes the smoke made. And waited patiently for our food to cook. As the weather has been so nice, it was very dry and dusty in the shelter. As soon as we arrived we seemed to be covered, but we didn’t mind, it was all fun and we had a stream to wash our hands in. Katie enjoys a drink while keeping her eye on the BBQ. Jo and Cerys sit waiting. Danny helped us to cook the veggy sausages while I kept Izzy back from the heat. Danny found this lovely Black Beetle. Danny dishing up the hot dogs. Then helping themselves to a hot dog, roll and of course, ketchup! The BBQ smelt so nice so we were really grateful our delicious hot dogs were ready. We all ate as many as we needed and stopped when we were full enough. The most essential item for your mobile BBQ: a bin bag! I was glad I packed a couple. We made sure we took all our rubbish home with us so the next people visitors can enjoy the shelter and woods as much as we do. Once the hot dogs we cooked had all gone, the kids took out the marshmallows to toast over the BBQ. Then we stayed and played, chatted and put everything away. Makala and Katie popped home and bought some Tip Top Ice Lollies for us all to enjoy on the hot walk home through the woods. These were so refreshing and much needed now we were back out in the sun. It was a lovely BBQ and there was enough food left over to hold another one. There was also enough money left over to buy a portable bucket BBQ, so we can hopefully enjoy a few more over the Summer. So quick and easy too just having sausages and rolls, hot dogs. We finished off a lovely day in the woods with an evening at our local beach, Gelliswick Bay. It was high tide at ten to nine, so the kids enjoyed jumping in and having a swim. I’m loving these long, Summer days. Thank you once again to Makala for taking the lovely photographs, especially as my phone battery didn’t last long on this trip! Also, thank you to MoneySuperMarket.com for giving us £50 to join in with this Charcoal Challenge. We spent £30 on absolutely everything we needed for this day, so really this money will cover a couple of Summer BBQ’s!